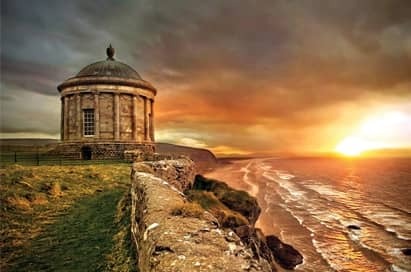 With its remarkably diverse landscape of breathtaking coastlines and spectacular countryside, Northern Ireland’s North Coast is the ideal geography school trip destination to study both physical and human geography. 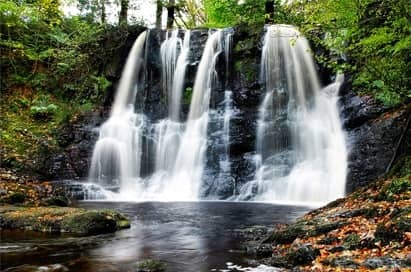 The area is filled with field trip opportunities for budding geographers, with glens, lush forest parks, secluded coastal tracks and many quaint fishing villages. 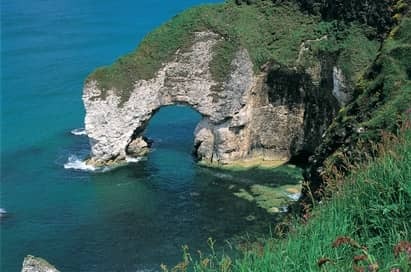 Popular geography visits for school groups include the spectacular Giant’s Causeway, Carrick-a-Rede Rope Bridge and Portstewart Strand - which offers a fantastic opportunity for data collection and fieldwork techniques. 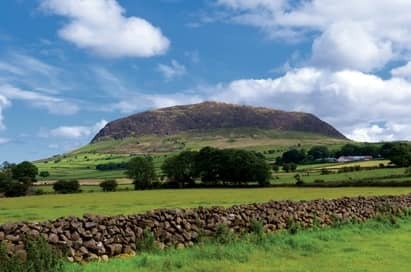 On a geography field trip to Northern Ireland’s North Coast, your pupils will get the chance to study coastal processes, volcanism, geology, glaciation, the impact of tourism and conservation in a fascinating area of outstanding natural beauty. Price shown is based on 40 paying passengers from selected departure points travelling in October 2019 and is subject to availability. Get even more from your trip with an NST Field Studies Guide from only £30pp. This is the must see visit of the tour! 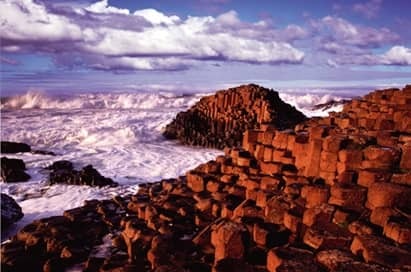 Students will take a short walk down to the Causeway to marvel at the 400,000 interlocking basalt stone columns left by volcanic eruptions over 60 million years ago. Here, your groups can immerse themselves in the geology of the area: investigating intrusive and extrusive volcanic features, coastal processes and landforms, and also consider the human impact of the site. Students can then explore the state of the art visitor centre where they can explore the interactive exhibition. 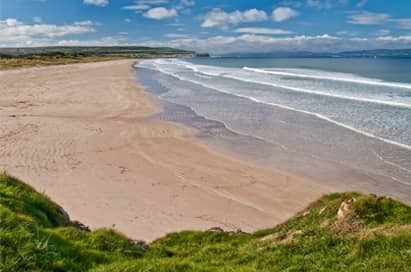 The magnificent two-mile Strand of glistening golden sand is one of Northern Ireland’s finest beaches for sand dune succession studies. This is an ideal site for students to discuss and demonstrate fieldwork techniques and to collect data on succession. Key themes such as tidal flow and coastal erosion, coastal protection and the impact of tourism can all be studied here. 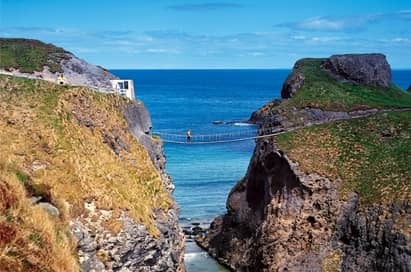 Carrick-a-Rede is a Site of Special Scientific Interest with unique geology, flora and fauna. This visit offers students a unique cliff-top experience to traverse the 30m deep and 20m wide chasm by a rope bridge. Students will see examples of volcanic features and coastal processes, views across to Rathlin Island and, on a clear day, even the coast of Scotland! 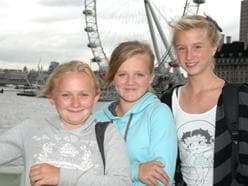 The diversity of topography, woodland and habitats found within the forest provide a superb area for geography studies. Both physical and human geography can be investigated at Glenariff from glaciation and glacial features to tourism and human impact. 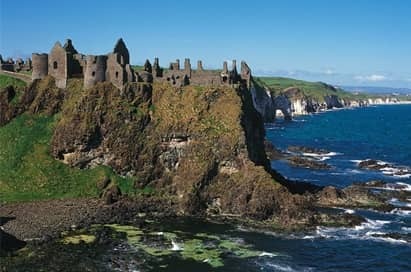 Possibly the most picturesque ruin in Northern Ireland, students can make a photo stop at Dunluce Castle, or spend time discussing the coastal erosion evident from the stunning viewpoint of the ruins. Whiterocks Beach enjoys a stunning coastal location. The soft, sedimentary rocks have been carved through centuries into a labyrinth of caves and arches allowing for the investigation of landforms such as sea stacks and arches. Dramatic cliff-top views, ruins and a temple give avid geographers everything they need for an inspiring visit. Land management, invasive species and geology can all be experienced here. 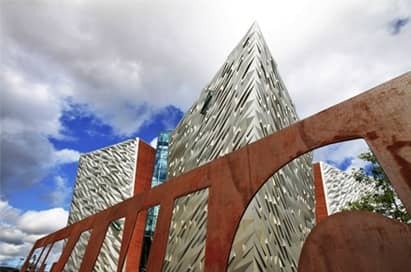 Visit the world’s largest Titanic visitor experience at this fascinating museum in Belfast. Students don’t just learn, they become enthralled by full scale replicas and visually stunning displays through nine interactive galleries. Your Field Studies Guide will tailor make a geography walking tour to suit your pupils key study requirements. 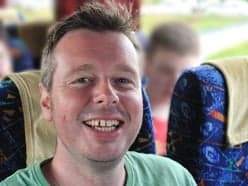 They will lead and deliver educational content on a full or half day itinerary.